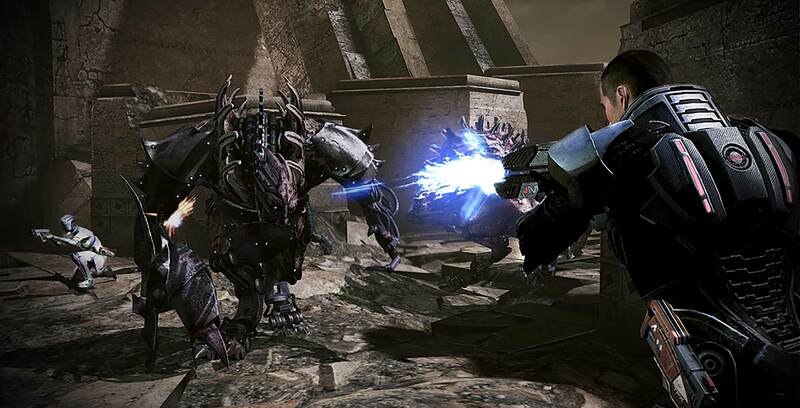 Canadian developer Bioware Edmonton is working on new projects based on its acclaimed Mass Effect and Dragon Age RPG franchises. In a new blog post, Bioware Edmonton general manager Casey Hudson reassured fans that it is working on other games besides multiplayer action-RPG Anthem. It’s currently unclear what these projects may be, but Hudson’s announcement is nonetheless good news for the many fans who have been calling for new Mass Effect and Dragon Age-related content for some time now. The most recent Dragon Age title was 2014’s Dragon Age: Inquisition, which was a critical and commercial success. However, while latest Mass Effect game came out much more recently than Inquisition, it also did not fare nearly as well. Coming off a troubled five-year development at the offshoot studio Bioware Montreal, Mass Effect: Andromeda eventually launched in March 2017 with numerous glitches and a mixed reception among critics and fans. A crowded spring filled with massive hits like Horizon Zero Dawn, The Legend of Zelda: Breath of the Wild and even a fascinating new console in the form of the Nintendo Switch certainly didn’t help, either. The Mass Effect series was reportedly put on hold in May 2017, while Bioware Montreal was said to have been quietly absorbed by fellow Quebec studio EA Motive two months later. In a late June 2018 Twitter thread, Bioware Edmonton executive producer Mark Darrah even acknowledged that Andromeda was a “deeply flawed” game that was further hampered by an ill-timed release among strong competition. Following all of the bad press, Hudson, who had served as creative director on the original Mass Effect trilogy, eventually returned to Bioware Edmonton in July 2017. In his new blog post, Hudson also addressed concerns that Anthem wouldn’t offer player story choices due to the game’s continuously shared online world. According to Hudson, the solution to this problem is a design philosophy referred to as “Our World, My Story.” In the dynamic open world, all Anthem players will experience the same day/night cycles, weather and world-scale events, which Hudson sys relates to the “Our World” statement. “My Story,” meanwhile, will be shaped when players return to the ‘Fort Tarsis,’ a single-player hub world where relationships can be developed and choices can be made. Hudson said more information on Anthem‘s ‘Our World, My Story’ system will be shared at the PAX West gaming expo, which will run from August 31st to September 3rd in Seattle.